How did missing Canadian man, Edgar Latulip come to suddenly remember who he is? How did missing Canadian man, Edgar Latulip come to suddenly remember who he is? Original missing persons images. 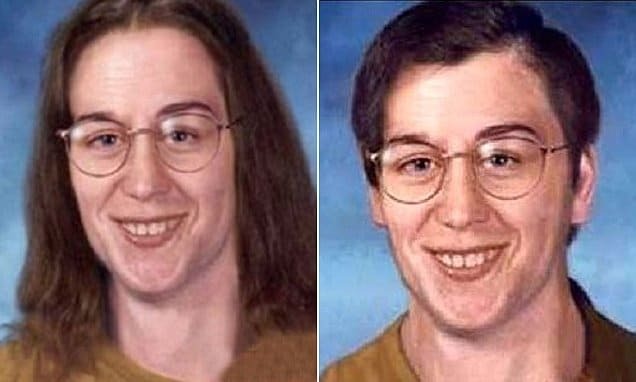 A 51 year old Canadian man who has spent 30 years not knowing his true identity after ‘suddenly’ disappearing has told of remembering who he is. Edgar Latulip was 21 years old when he got up and left a group home in Kitchener, Ontario, in September 1986. At the time the man was rehabilitating after a failed suicide attempt, with Latulip’s mother last seeing her son at hospital during recovery. Without telling anyone, Edgar Latulip got up and left, presumably to travel back to Niagara Falls in another attempt at killing himself. At the time of his disappearance, authorities told Latulip had the cognitive abilities of a child. Things took a dramatic turn whilst en route to Niagra Falls when Latulip hit his head, causing the man to somehow forget who he was. And that was the last anyone ever saw of Edgar Latulip. At the time of his disappearance, Latulip’s mother suspected foul play, believing that her son may have been abused because of his mental illness or worse, accidentally killed and his body hidden according to a report via The Guelph Mercury. Her prayers were answered on Wednesday when Waterloo regional police announced that her son was alive and well, living a mere 80 miles from where he’d disappeared. According to a local social worker, Edgar Latulip had approached a local facility telling that he ‘suddenly‘ remembered who he was. A search online led to the discovery of a missing persons poster with that very name. A DNA test performed last week confirmed the missing man’s true identity. Ironically, a purported sighting of Edgar Latulip in nearby Hamilton, Ontario, in 1993, was reported, but police could not track him down. Officials are now working on arranging a reunion between Latulip and his family. ‘They’re obviously very happy about it and they’re making plans to get together with Edgar and speak with him further,’ Gingerich said. Wilson told CTV she hadn’t spoken with her son yet, but was overwhelmed to know he was alive. Whilst the missing son’s discovery may have answered many question’s Latulip’s family held, his disappearance has also led to some wondering how Edgar Latulip ‘suddenly’ came to remember his true identity and what may have inspired him to seek out his true identity again? Unless of course, Latulip had purposefully chosen to discard his true identity and the burden that may have come along with once being Edgar Latulip?